Maha Vidyalaya was placed third. rinity ended last season (2013/2014) as runners-up behind Richmond, the latter finishing in eighth place this year. 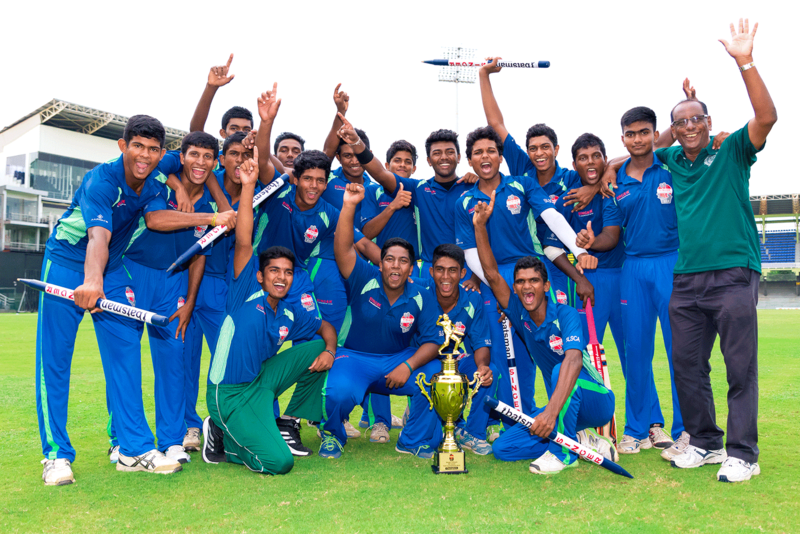 St Peter’s College, led by Chandula Jayamanne emerged as the leading team among the four quadrangular schools at the end of the season. The Peterites finished fourth in the inter-school tournament this year after recording seven outright wins from 16 games. 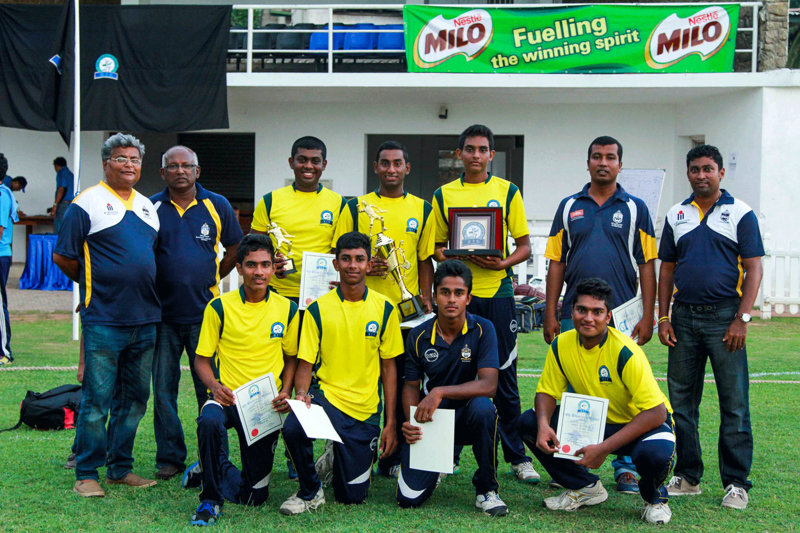 The Bambalapitiya lads should consider themselves unlucky not to have been crowned champions despite enjoying a highly successful season in which they remained unbeaten. Trinity, the eventual champions with 10 outright wins, were in fact beaten by the Peterites in their own den. Hence, it should give the Peterites some consolation. This year, the Peterites boasted a well-balanced side made up of experienced batsmen and a talented spin department that had a good variety. Dimuth Thimodya, Chandula Jayamanne and Lakshina Rodrigo were their most successful batsmen while spinners Thanesha Weerakoon (58), Vinu Mohotty (55) and Ashan Malka (43) were their chief wicket takers for the season. Moratuwa, in the final, and also ended as runners-up at the Schools T20 tournament, losing to St Benedict’s in the final. U-19 school cricket review Lions roar to the top; Petes grab two crowns the Josephians did well to have the upper hand in the Battle of the Saints. The Josephians finished 17th in the Division One tournament. while Nimesh Fonseka had the honour of scoring two centuries. St Anthony’s, Kandy, competing in Division Two, finished 17th after winning two games outright and going down in four games. The Antonians who have boasted of great cricketers in the past have lately fallen back in the game and will have to make a sterling effort if they are to compete in Division One. St Thomas’ too had a successful season as they ended as the fifth best team with five outright wins, and also beat Trinity on the first innings at Mt Lavinia. The Thomians took the honours against Royal College in the 136th Battle of the Blues. Colombo, will be demoted to Division Two after ending at the bottom of the table. Avishka Fernando of St Sebastian’s College, Moratuwa, was the highest run-scorer with 1012 runs at an average of 59.50, with three centuries and five half centuries and was the only player to cross the 1000-run mark this season. Raveen Sayer, captain of Trinity College, and Dulanjana Senevirathne of Mahanama College topped the bowling list with 89 wickets each after 16 matches. Next MAN WITH THE GOAL-DEN BOOT….